November was a rough month, especially after last month's Japanese resource drought, but we still managed to find a few gems. Not all of these resources will be available to everyone, but they're all pretty darn good. Anyway, welcome to our series about Japanese learning resources. 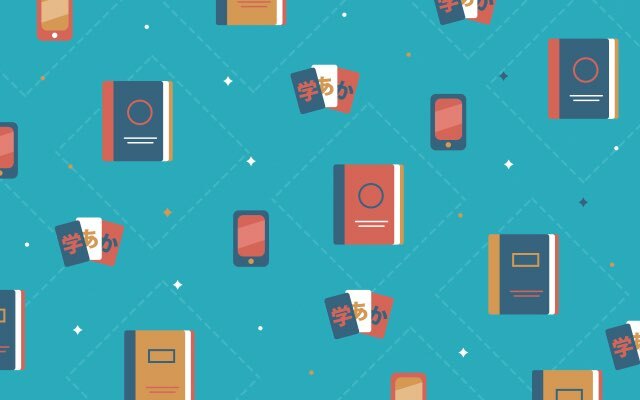 Every month, we bring you the best new tools to help you learn Japanese. We sift through all the junk so you don't have to. You're welcome! This is the first singular YouTube video we've ever added to our resource list. That's because this video in particular is so exceptional. This forty minute video by YouTuber Misa from Japanese Ammo might be one of the only resources titled "ultimate" and "the only lesson you need" that I actually believe. 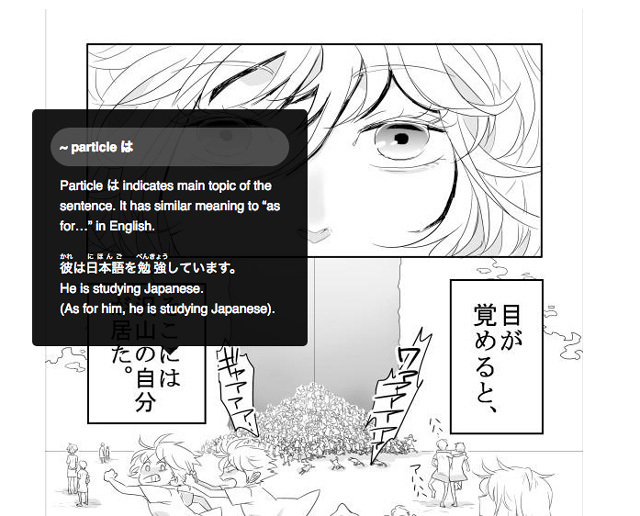 Misa breaks down the particles は and が and explains the differences in depth with multiple examples and on-screen text and translations. If you've been following this article series from the beginning, you may have noticed this is the first singular YouTube video we've ever added to our resource list. That's because this video in particular is so exceptional. は and が can be a major struggle for English speakers learning Japanese. If you don't learn the nuances right away, you can spend a long time confusing the two. And misusing them will make you sound non-native 100% of the time. But Misa's video trumps all other resources that we've found. It's like taking Jay Rubin's previously #1 explanation from Making Sense of Japanese and putting a younger, more approachable/conversational spin on it. Please take some time out of your day to watch because this video is the real deal. You may still mix up these particles but at least you'll understand when, where, and why you should use one or the other. And I guarantee it will increase your understanding. It's fall, which means a new Pokemon game was released! As with the last few entries into the series, it's very easy to change your in-game language to Japanese when you start the system. Even better, you can choose between kana or kana plus kanji. If you've ever played games in Japanese, you probably already know that playing one entirely in kana when you're more advanced is just as much of a nightmare as playing one with all kanji when you're a beginner. But Pokemon lets you choose based on your skill level. Another plus is that there is a ton of katakana. I often see Japanese self-learners having a hard time getting used to katakana, especially if they haven't recently been to or lived in Japan. But the truth is, katakana is important and Pokemon can teach it in a way that's not only interesting, but good for your memory! Why? Because many Pokemon moves are written in katakana and Pokemon share a lot of moves (for the most part). So you'll be reading things like マジカルリーフ (Magical Leaf) and ハイドロポンプ (Hydro Pump) and オーロラビーム (Aurora Beam) over and over, until you don't have trouble reading katakana anymore. And if you read it wrong you'll probably start losing. You can't use １０まんボルト on a ground type. Geez. If you're already a fan of Pokemon, there's no excuse for you to not be playing in Japanese at this point. Keep a notebook or an SRS app open to add words to your normal study method as you play and learn a bunch of neat new vocabulary! You'll learn the names of things like wildlife and furniture. It's a super cute way you can study Japanese a couple times a day with a new, addictive game. Nintendo must know how much we love studying Japanese with their games, because they keep giving us easy access to language switching options. And the new Animal Crossing mobile game is no different. You can change your language settings to Japanese in the Settings Menu! I've written about Animal Crossing before, because it's a fantastic way to learn new words and practice what you already know. The newly released Pocket Camp is basically Animal Crossing lite. It has animal friends and bug catching and fishing, but a lot of the meat from the full games isn't here. But that's good for us because it means you're spending less time adding new words and more time reinforcing the words you do learn. I've been playing the game since it was released earlier this month and I started to notice that animals of the same type (ナチュラル, ファンシー, スポーティー, and クール) all have the same stock messages. This means that once you learn the vocabulary and grammar from one conversation, you'll see it again over time. That's some natural SRS you have going! The new things you learn will be drilled into your brain, so the more you play, the easier it is to recognize them instantly. You'll learn the names of things like wildlife and furniture. You'll get to customize your campsite and make friends with a duck made of ketchup and an alligator with the same catchphrase as a mustachioed plumber. It's a super cute way you can study Japanese a couple times a day with a new, addictive game. 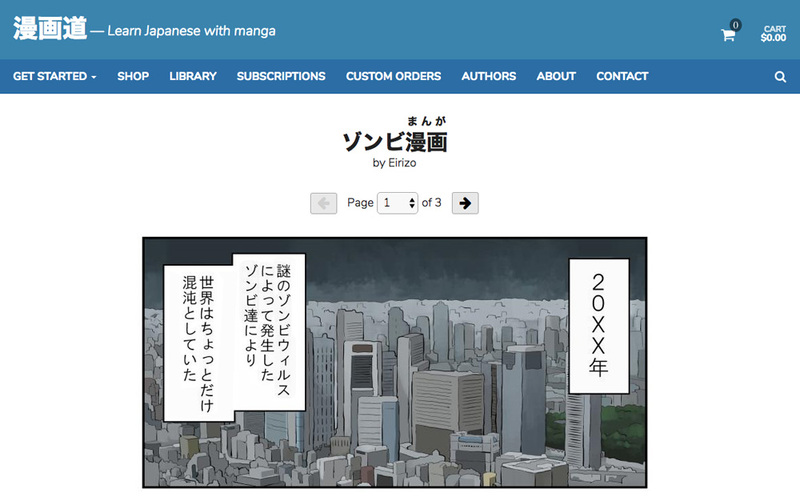 This new website promises to teach you Japanese through manga, but it's no Japanese the Manga Way. The English translations and grammar explanations don't always feel like they were written by a native speaker, but hopefully that will improve with time. Instead of using the typical textbook format, Mangadou aims to teach you Japanese by "putting [you] in the environment and learning through the things that you really enjoy." In this case, manga made by artists and creators for the purpose of teaching Japanese. All the content seems to be made in-house and the art itself is good quality. At the time of writing this, there are currently five manga series on the site, three of which can be partially viewed without signing up or subscribing. Each page is set up like a single page from a manga, but you can click on any of the text to get a popup containing an English definition, furigana, and sometimes a grammar explanation and example sentence. Speech bubbles can be clicked on to get a translation of all the sentences within. All sound effects are clickable too! Because of all this, the original content on the site was honestly much nicer than I was expecting. All three give you access to their manga library, but the premium plan allows you to order up to ten "homeworks." Basically you can order homework made just for you. You can also ask them questions for an extra fee (to be discussed with Mangadou staff personally). If you have a particular manga, song, or anything else you'd like to use to study, you can send them the files and they will make special study pages private to your account. They can also make homework based on your personal materials. The site is still in its infancy so there isn't much to see yet, but there's no telling the improvements that will come with time. We're unsure if they'll be able to scale with this model of making custom homework for each user, but the idea is super interesting and could be a huge help to people who have trouble with typical textbook content. We're hoping good things come from Mangadou. Please note: Amazon Echo, Echo Plus, and Dot in Japanese are only available for purchase and use in Japan! For those of you who are not currently residing in Japan you will not be able to buy or use this. If you are living in Japan, Alexa can finally live in your home or office and do whatever you want! Okay, not whatever you want, but you can ask her tons of questions and have her add things to your Amazon shopping list and whatnot. We have the English-speaking Amazon Echo at the Tofugu office and she's good if you want to know the weather or play daily Jeopardy or hear a bad joke. Alexa only responds if she can understand what you're saying. That means your Japanese pronunciation has to be on point. While we can't get our own Japanese version, there are plenty of ways you can use one to improve your Japanese, specifically your speaking and listening skills. Alexa only responds if she can understand what you're saying. That means your Japanese pronunciation has to be on point (the same principle applies to Siri). And if she thinks you said something else, you'll have to try to figure out what she heard based on how she responds. You can listen to the news from NHK and Asahi Shimbun. You can ask any simple question (and we're hoping she understands more than her current English iteration which seems to hate all our weird questions). Basically, if you're in Japan you can find lots of ways to use the new Amazon Echo and Dot to help you improve your speaking and listening. You just have to be there already and have a decent chunk of change to spend on one.